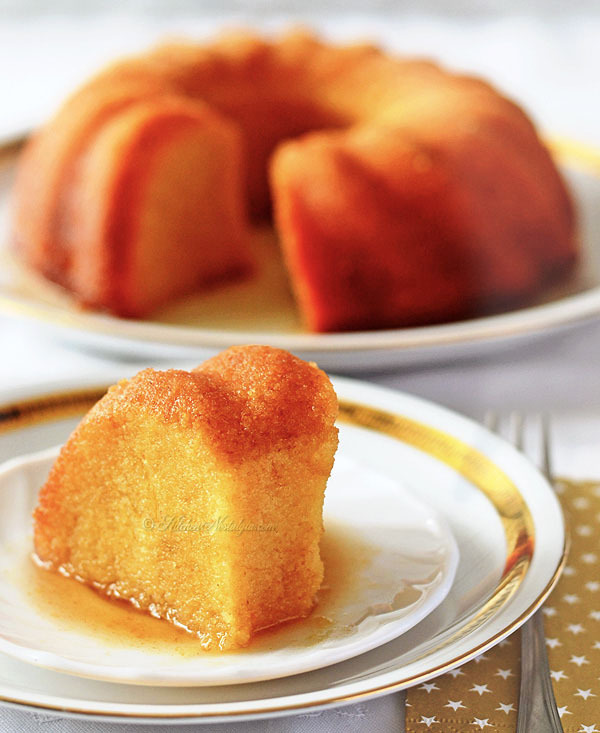 Rum Cake from Scratch is dense, rich and soaked with flavorful thick butter rum sauce. Great for every party! When I decided to make my first Rum Cake from scratch, I researched a lot of different recipes and finally used the one from King Arthur Flour. What intrigued me was their two-stage method for cakes instead of creaming method: you mix all dry ingredients together with half of the liquid. After about 2 minutes of mixing, add remaining liquid and mix some more. This should make a cake with very fine grain and moist texture. I tried it and I can testify that it really is true. On the other hand, I changed a lot of other things in the recipe. When I baked this cake for the first time, during baking butter was bubbling up and it looked like the cake was “swimming” in a pool of grease. I don’t know whether it was a typo in the original recipe, but I think it is not necessary at all to use butter in the batter because 1/2 cup vegetable oil is just enough, so I completely omitted the butter. One should not forget that there is another 1/2 cup butter in sauce, as well. Also, I omitted pecan meal, added a teaspoon of lemon juice to the batter and reduced amount of sugar in the sauce. 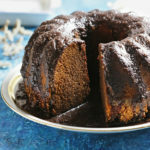 But, most important change was that I wanted to make Rum Cake from scratch, and their recipe used instant pudding mix. So, I replaced it with 1/3 cup cornstarch and one additional egg (which has the role of emulsifier). Years ago I learned a trick to oil the bundt cake pan (using pastry brush) and make sure every part has been well greased. Then sprinkle it with very fine dry bread crumbs. The pan should be completely coated so that the cake doesn’t stick. If you want your cake to be extra pretty, you can sieve the breadcrumbs (but that is optional). This will help you take the cake easier from the pan after baking and it will not leave ugly white parts as when you dust the pan with flour. In case the entire cake will not come out while inverting, cover the top of the pan (the tin side, not the cake side) with a kitchen towel soaked in cold water. It will help release the steam to help the cake unstick from the sides. Allow the cake to rest for few minutes. The cake will probably fall out of the pan onto the plate by itself. If it still doesn’t come out, use a knife to release the cake from the sides. 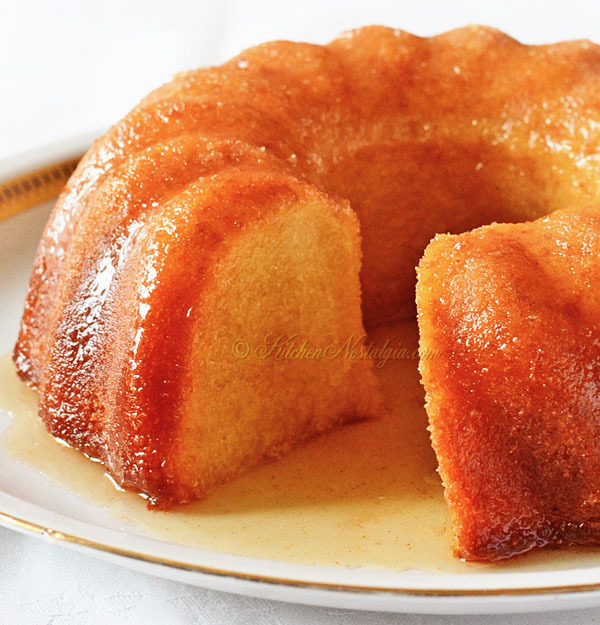 Almost every Rum Cake recipe tells you to leave the cake in the pan and take it out after soaking it with sauce. I’m always too curious to see whether my cake will get out of the pan easily, so immediately after baking I take a thin knife and GENTLY release it from sides and the central cone. Then I cover the bundt pan with a plate and invert the cake. If everything is OK, I return cake to the pan and proceed with the recipe. 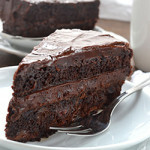 With all these changes, in the end I got a cake that was dense, rich and soaked with flavorful thick butter rum sauce. I’m very pleased with it and will keep this recipe, for sure! NOTE: In the video below I didn’t allow enough time for the cake to soak the rum sauce. I highly recommend you do that. Using pastry brush, oil the bundt cake pan and sprinkle it with fine dry bread crumbs so that the cake doesn't stick. Set aside. 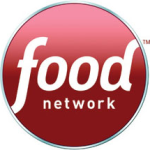 In a large bowl, combine flour, cornstarch, sugar, baking powder and salt. In another bowl, mix eggs with oil, milk, lemon juice, rum, vanilla extract and rum flavoring. Add half of this mixture to the dry ingredients and beat on medium speed for 1-2 minutes, or until the batter is smooth. Add remaining liquid and beat for another minute or until you get smooth mixture. (This two-stage method will produce cake with very fine grain and moist texture). Pour the batter into prepared bundt cake pan and bake in 350 F (175 C) oven for about 20 minutes. Rotate the cake, set the temperature to 300 F (150 C) and bake for another 20 minutes. Check with wooden skewer for doneness. RUM BUTTER SAUCE: In a small saucepan, cook butter, water, sugar, rum and vanilla for a few minutes or until sugar dissolves. After the cake has cooled a little, use a skewer to poke lots of holes (at least 20) all over the cake. SLOWLY pour half of the sauce over the cake. Let it rest until the sauce is absorbed, about 10 minutes. Turn the cake out onto a serving plate and pour the remaining sauce over the cake. At this point either serve the cake, or cover it and until serving. 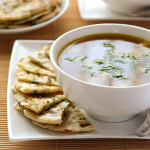 Wonderful recipe! 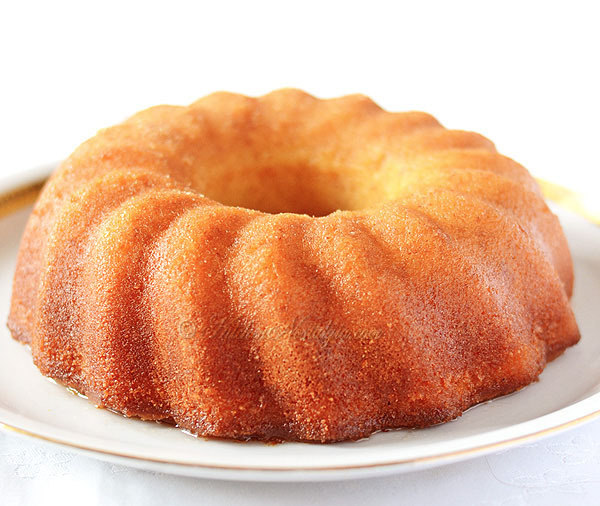 I’ve been looking for just that – a from-scratch rum cake and all I saw were cake mix cheats. Thank you, I will be trying this one very soon! Great, Julia! I also prefer recipes from scratch. Beautiful recipe. 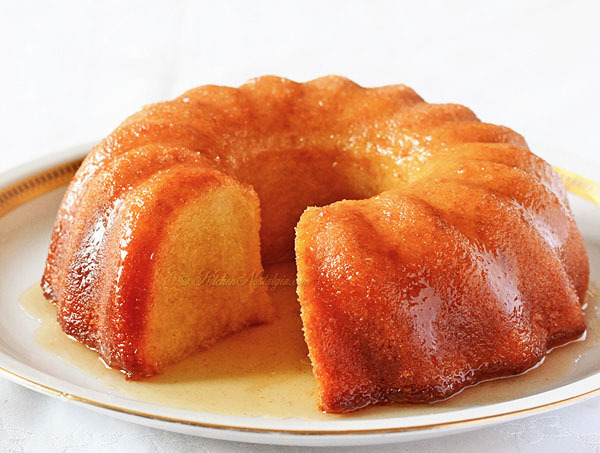 What size bundt cake pan did you use? When you say to let cool for a little while (Instruction #7), about how much time would you recommend? 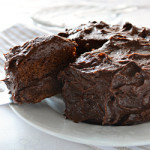 Last question, would you recommend to seive the flour when making the cake mix? I love that this is from scratch. 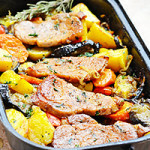 Absolutely fabulous recipe. I recommend at least 1 liter (1 quart, 4 1/4 cup) volume bundt cake pan. Bigger bundt cake pans are also fine. Let the cake cool for about 5-10 minutes. It should still be warm, but not steaming hot. It is always good idea to sieve the flour when making a cake. Rum Cake without rum? Well, you can make the cake, but I’m not sure about the taste. Try substituting rum with some other flavouring. I think what was being asked was omitting the rum extract, not the rum. It’s a pretty simple question. I understand. I just don’t see the point of making Rum Cake without rum (either rum or extract). It’s like making a chocolate cake without chocolate. You don’t understand, apparently. 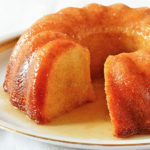 If I were to use actual rum in the cake and the sauce, would not using rum extract, if I didn’t have it on hand take away from it? Would it then no longer be deemed a rum cake? I think not. That was the question. No need for your useless snark. 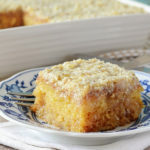 Can I bake the cake the night before and add the sauce before serving? You can. Be sure to cover the cooled cake so that it doesn’t dry out until the next day. Also, allow some time for the sauce to soak in before serving. I love to bake, and I made this for my husband and his co-workers for a snack to take on a business trip. They raved and now ask for it every time they have a trip coming up. It’s become a tradition. I love the rich, buttered rum flavor. Thanks for the recipe! That’s so cool, Jes! 🙂 Thanks for reporting back! Hello, can light rum be substituted? Light rum is mostly used for drinks and cocktails. Dark rum is better for baking. If you cannot find dark rum, I suppose you could substitute it with the white one. Don’t like coffee so what can I substitute???? I suppose you’re referring to Chocolate Rum Cake recipe. You can safely omit the coffee. Its’ role is just to enhance the flavor of chocolate. Hi! 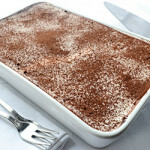 I want to try out this reciepe right now but dont have vegetable oil. Can i sub with more unsalted butter instead? Thanks! Yes, I guess you could. Not to offend you in any way, would it make too much if a difference to cut down the eggs and substitute with something else? We’re trying to cut cholesterol and 5 eggs seems like a lot. Thank you for sharing. The cake looks scrumptious. 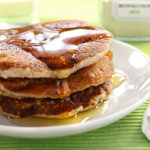 Maybe you could substitute two eggs with 1/2 cup applesauce or 1/2 cup mashed bananas. I’m not an expert on that, though. I love your rum cake recipe. It turned out great and I loved more than the rum cake from the Caribbean. I could taste the rum without it being too strong like the Caribbean rum cake. 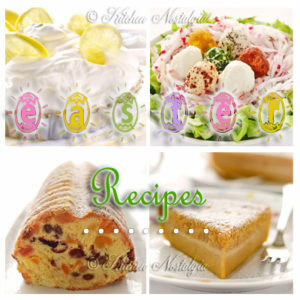 The recipe is easy to follow and it is very quick to make. I normally don’t like cake, but this one my husband and I finished in 3 days, each one of us had a piece a day. Right now, I am making my second one and it is currently in the oven. Can I use salted butter? Or would if not work? I guess you could. In that case omit 1/2 teaspoon salt from the recipe so that it doesn’t turn out to salty.